interface. The microSD to MS Pro Duo adapter also supports the Memory Stick PRO specification ver1.4 without security and SD memory card specification v1.1. Patented microSD(SD/MMC) to MS-Pro interface adapter. 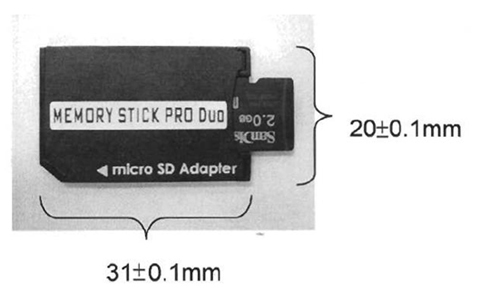 Support microSD(SD1.01 & SD1.10) to MS-Pro Duo(ver1.4) adapter. IBM Compatible PC and Mac PC with MS-Pro Duo Reader.